A painting by J.A. Beerstraten (1622-1666) of the Nieuwe Brug (New Bridge) and the ‘Paalhuisje.’ From 1561 onwards, exchange trading was conducted here, opposite the current Central Station. 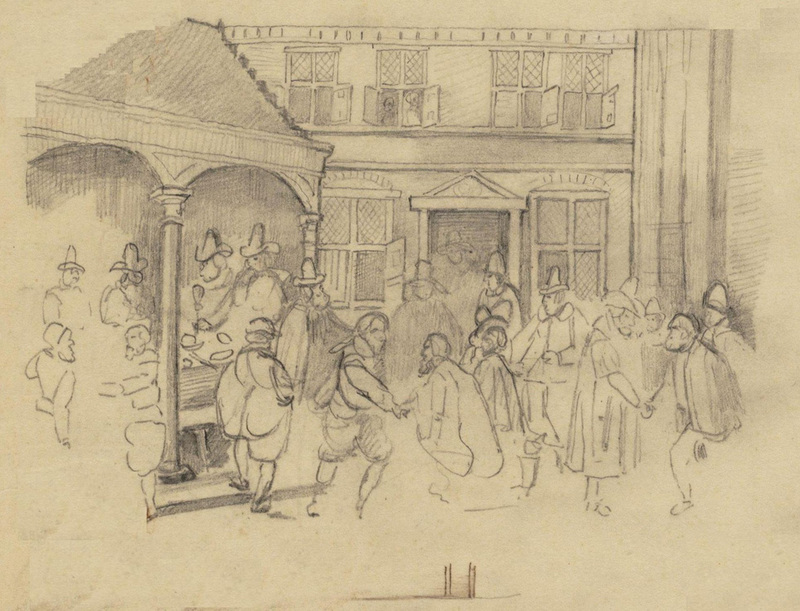 Traders in the Warmoesstraat, the first permanent exchange location of Amsterdam in the late 15th century. In 1568, exchange traders were given the right to use the Oude Zijds or St. Olofskapel (St. Olof’s Chapel) as exchange in bad weather. 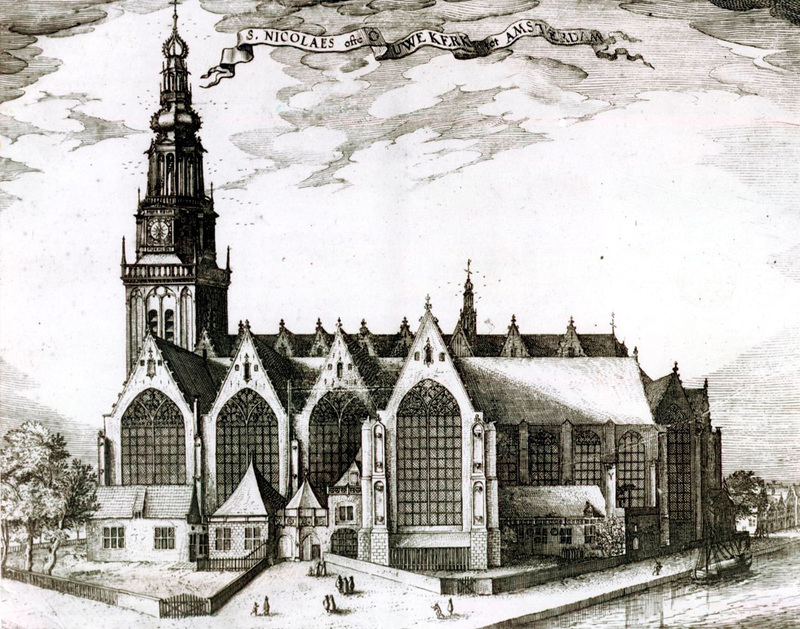 Around 1600, the Oude Kerk (Old Church) was sometimes also used for the exchange. Where goods flows converge, trade emerges. Therefore, it is not surprising that the first permanent exchange locations of Amsterdam flourished at the harbor. There was no exchange building yet, but the north side of the Warmoesstraat was referred to as the place “where the merchants come together daily” in 1493. In rainy weather, the merchants sought shelter under the awnings of the houses, to the dismay of the residents of this then-prominent, but narrow street. It was only after 1561 that the residents of the Warmoesstraat regained their space: trade moved to the Nieuwe Brug (New Bridge) and the ‘Paalhuisje’, where skippers had to pay their port charges. However, in windy, cold, and rainy conditions, one could not reasonably be out there – at the open IJ river – for long. In 1586, the municipal authorities therefore gave merchants permission to use the St. Olofskapel (St Olof’s Chapel) on the Zeedijk during harsh weather conditions. 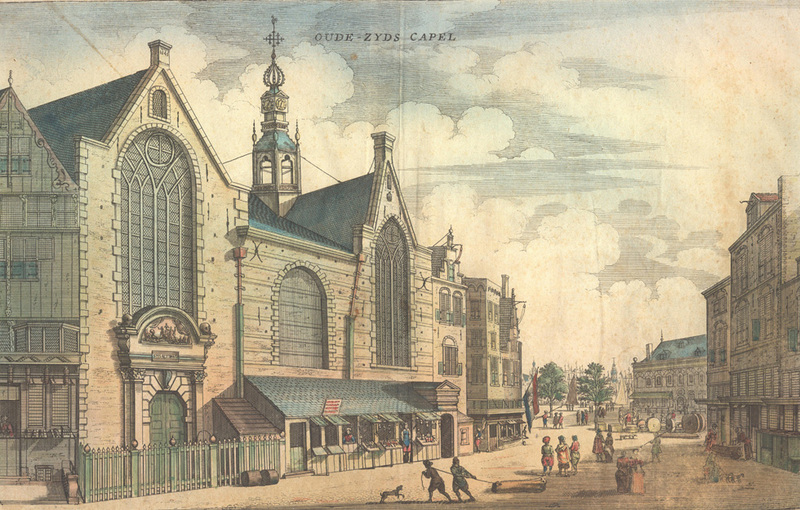 Later, the exchange was also held in the Oude Kerk (Old Church). 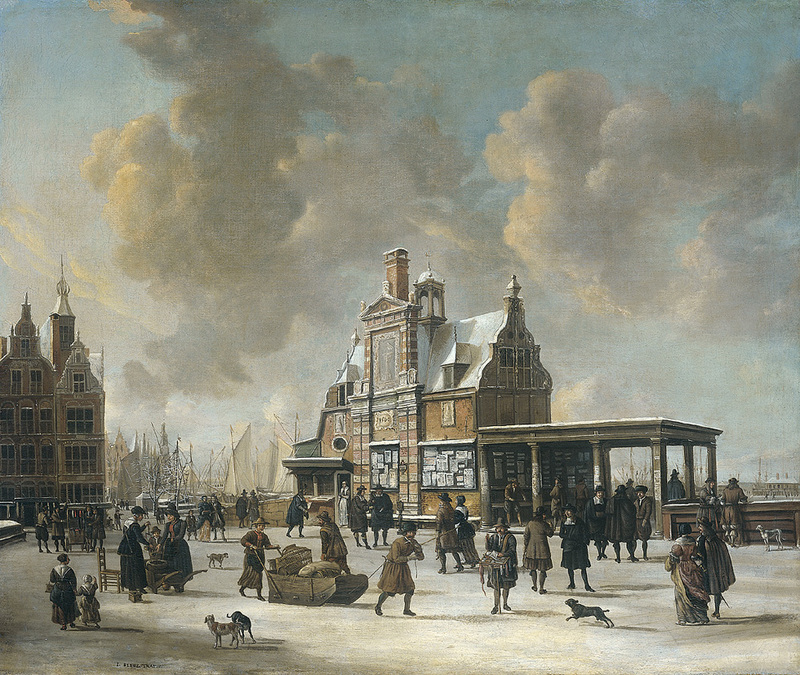 The fact that merchants had to rough it with churches and places at the harbor was not in line with the pace at which Amsterdam was developing as a center of world trade. This was characterized by the Dutch East India Company (VOC), established in 1602, which was the first company in the world to issue shares to the general public. Against the backdrop of a burgeoning Golden Age, the realization arose that Amsterdam was in need of a real exchange building. In 1611, the first Koopmansbeurs (Merchants Exchange) of Amsterdam was ready: the Beurs van Hendrick de Keyser.